Thank you so much for the spectacular "From the Hand of God to the Miracles of Orchids". Deborah and I have not been able to put this down! In fact, some nights we race to the bedside table to see who gets it first. The photography is amazing...as is your life story. It thought I knew something of the history of the Glades, but I learned so much in the pages of your book. I also thought I knew a lot about my friend, Milton, but my goodness you have done a lot in your wonderful life! We will always treasure this book...the beauty it shares, the history it tells, the testimony it offers, the lives it depicts, and the friendship it represents. I never knew how mischevious you were, Milton and all the things you and Donald and Calvin and Jackie did. How D. & C. would have enjoyed your book. Needless to say, I am so very proud of both of you! When I began reading your book, I could not put it down, but of course I did not finish it yet, even though I was up to 1:00 am. - so I can't wait to finish it. I plan to share it with family and friends and keep it on my "coffee table". One never tires of looking at the beauty you and God created!! 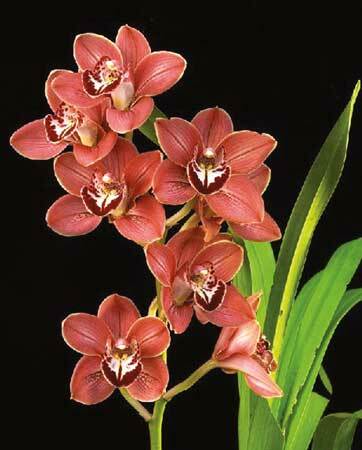 Besides the writing and the music and DVD, the pictures of the orchids give an uplift that is not easily measured. Sometimes I pick it up during the day so as to get a respite from what my daily tasks keep me doing. Your book “From the Hand of God to the Miracles of Orchids” is most beautiful with words and pictures. I’ve started reading after looking at all the pictures and it is beyond great. I’m so glad you wrote it and took the gorgeous photos.